Is your evaporative cooling not working? Don’t stress, Same Day Hot Water Plumbing & Gas can repair it and get it working again! Providing SAME DAY SERVICE and 24 Hour Emergency Breakdown Repairs. We have the knowledge and experience in servicing, maintenance and repair of all makes and models of evaporative air conditioning. We offer 24 hour emergency breakdown service to ensure your air conditioning system is up and running again in no time. If you have a problem with your evaporative cooling or simply require a regular maintenance check or service call Same Day Hot Water Plumbing & Gas today! 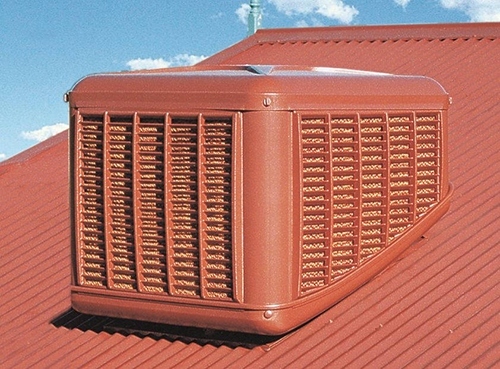 For many decades, evaporative cooling systems have proven to be an ideal solution to our hot Australian summers. Low initial cost coupled with extremely low energy usage results in the most easily affordable total home cooling solution. This is primarily due to the fact that evaporative cooling is a natural process that draws air from outside the home, passes it through water saturated pads, thus cooling it, just like the ocean cools a sea breeze. Evaporative cooling systems allow you to leave windows and doors open, making for a fresher and much healthier atmosphere. As the air is moist, it is much better for your skin than the dry output of some refrigerated systems. The efficient air filtration significantly reduces the problems of allergy sufferers. Our vehicles are well stocked with most air conditioning parts to suit the majority of evaporative air conditioners. Our experienced evaporative service technicians and plumbers can service and repair your evaporative airconditioning system. We service and repair of all makes and models including Breezeair, Celair, Bonaire, Coolair, Braemar, CoolBreeze and Brivis. We replace the Celdek and the aspirin pads, replace pumps, dump valves, solenoids, clean and service to prevent Legionnaires’ disease from the stagnant water. Beat the heat this summer! 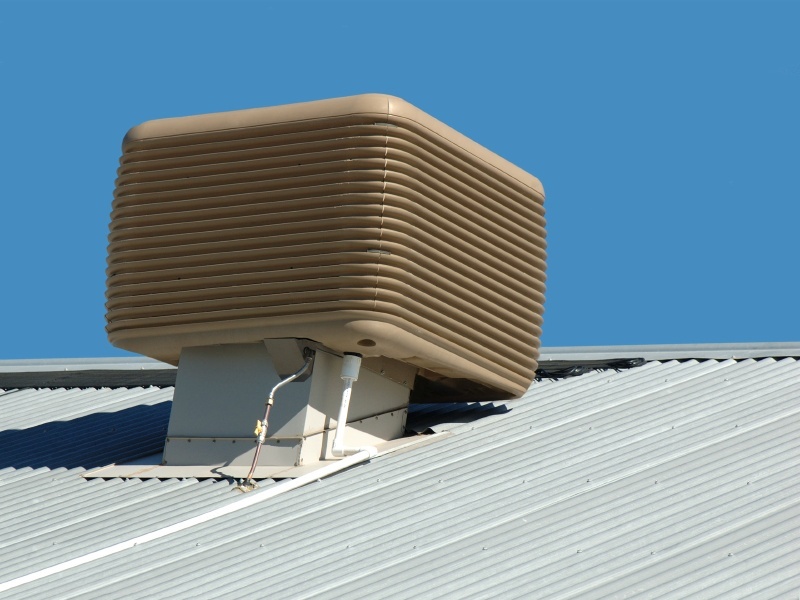 If your evaporative cooling system isn’t working properly, call us today for fast same day service.